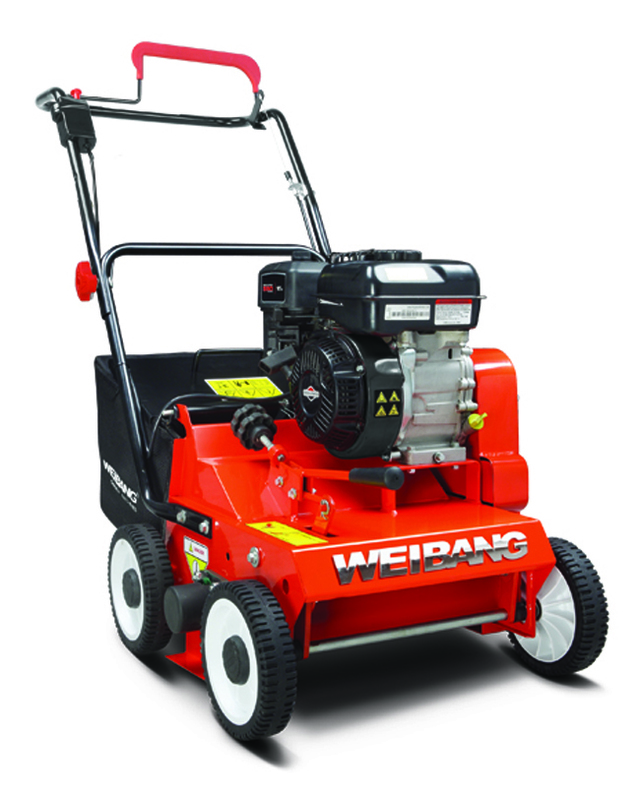 The Weibang Intrepid 384 AB petrol engine powered scarifier will removed matted grass, moss and built up thatch from your lawn, this will allow air, nutrients and moisture into the turf. It will let your lawn breath and help you to obtain a green, luscious looking lawn. Powered by a 163cc Briggs and Stratton 750 Series four stroke petrol engine, the Webb LS38 scarifer has a working width of 38cm/15 inches. 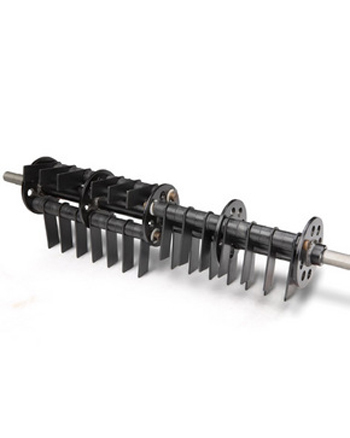 Twenty two reversible steel spring flails with stepless height adjustment give working depths from –7.5mm to –0.5mm. This is an important feature, that gives very accurate scarifying. Debris removed from the lawn is collected into the 40 litre capacity bag. Folding handles make this machine easy to transport and reduce space needed for storage. Ball bearing wheels make this machine easy to push and the scarifying action assists in the forward movement of the machine. The Weibang Intrepid 384 AB scarifier has a steel deck and is substantially constructed using quality components. Please contact us on 01603 738635 or 01362 699888 for details of offers or promotions we have on this machine. Please note that we supply the Weibang Intrepid 384 RB Scarifier fully assembled, test ran and provide a full hand over with instructions on the machines use. We offer free delivery of this machine to customers residing in Norfolk and the Waveney Valley area of Suffolk. We provide full dealer facilities for warranty, service and spare parts back up for every machine we sell. Our hire scarifiers are late date machines maintained in excellent condition. Please contact us for details of our hire charges.